M.D., professor Kostyuk I.F., M.D., professor Huyda P.P., Ph.D., professor Telegina N.D., Ph.D., docent Steblina N.P., Ph.D., docent Byazrova V.V., Ph.D., docent Brek V.V., Ph.D., docent Pogorelov V. M., Ph. D., docent Kalmykov O. O., Ph. D., docent Arkhipkina O.L., Ph.D., docent Shelest B.A., Ph.D., assistant Balagova L.P., Ph.D., assistant Maslova E.P., Ph.D., assistant Prokhorenko V.L., Ph.D., assistant Sukhonos N.K., assistant Melenevich A.Ya. Education is conducted in Ukrainian, Russian, English. in “Diseases of civilization” — with students of magistry course specialized in “Laboratory diagnostics”. different themes of thematic training cycles. Research directions. Research work of the Department is dedicated to industrial cardiology issues, investigation of industrial aerosol and vibration influence on an organism of workers from machine-building industry. Peculiarities of cardiovascular pathology course in different occupational groups, interrelation of occupational diseases with arterial hypertension, atherosclerosis, ischemic heart disease are investigated. Main scientific advances. During ten years the scientific research by the program “Management of arterial hypertension in organized population (industry) of Kharkiv” was carried-out on the base of the Department. This work made it possible to reveal actively those persons who have arterial hypertension, conduct their treatment and evaluate the probability of morbidity and mortality decrease first of all due to cardiovascular and cerebrovascular diseases. The system of arterial hypertension prophylactic treatment in workers from industries was developed and influence of occupational agents in arterial hypertension development was estimated. The conception of vibration disease as membraneous pathology was formulated. It supports the pathogenic role of trans-membrane calcium exchange, erythrocytes cytoskeleton desintegration and membrane spectrin-actin complex activity deviations etc. This grounded the development of pathogenetiс therapy using blockers of slow calcium chanels in treatment of such patients. Results the Department’s research were represented in 2 doctorate (M.D. degree) and 18 candidate (Ph.D. degree) dissertations. Department’s teaching stuff introduces novel methods of diagnosis, treatment and prophylaxis of internal and occupational diseases. 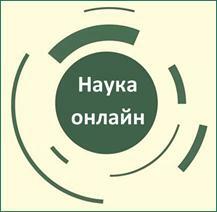 Teaching stuff also conducts consultative help for industrial workers and patients in Kharkiv out-patients departments, performs orgatizational and methodical work for therapeutists and doctors specialized in occupational medicine. 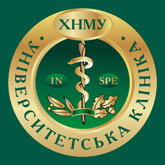 - Clinics of Scientific-Research Institute of Labour Hygiene and Occupational Diseases of Kharkiv National Medical University. 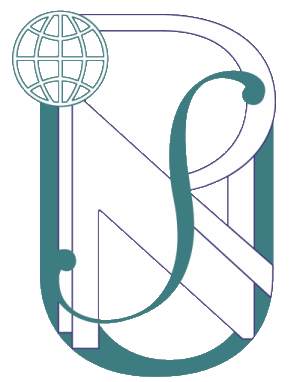 - Military-Medical Clinical Center of Northern Region of Healthcare Department of Ministry of Defence of Ukraine (m/d А3306). - Govermental establishment “Railroad Clinical Hospiral”.